The much-anticipated Heher Commission report on free higher education says the state cannot afford free education for university students but recommends that study at technical and vocational education and training (TVET) should be free. The commission, headed by retired Judge Jonathan Heher, was established by President Jacob Zuma in 2015 after nationwide student protests over fees. Heher defines full fee-free education as including tuition fees, the cost of accommodation, transport, learning materials and food and other living expenses. 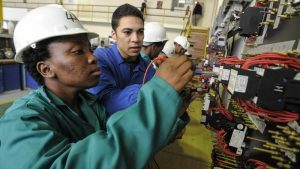 The report recommends that the surplus of R50-billion in the Unemployment Insurance Fund be tapped to develop the infrastructure of technical colleges. The report also recommended that the National Student Financial Aid Scheme (NSFAS) be retained to fund all TVET student needs and support. The release of the report, which had been on Zuma’s desk for three months, comes at a time when it has been reported that he wants to announce free tertiary education. The Mail & Guardian reported last week that he is planning to announce fully subsidised university education for poor and working-class students — those from households with a combined income of up to R350 000 a year. According to the report, Zuma has instructed officials to see where cuts can be made to raise the estimated R40-billion needed to cover it. This contradicts Heher’s report, which says the government does not have enough money to provide fee-free higher education for those who cannot afford it, “let alone all students, whether in need or not”. The government is faced with a R50-billion tax shortfall and dire funding problems at the country’s state-owned enterprises. Even implementing Heher’s R50-billion proposal for the TVET sector will add to Finance Minister Malusi Gigaba’s seemingly impossible task of putting together a credible budget. But TVET colleges have been performing badly. A 2015 performance and expenditure review commissioned by the treasury paints an awful picture of low pass rates. It found that only 2% of students studying for a national vocational certificate — a matric equivalent that offers both theory and practical experience in a vocational field — will complete the course in the minimum period of three years. On average, only 10.6% of students complete the programme in six years. The Heher report admits the graduation rate is “worse than universities” and says this is because of underfunding, receiving only R7.4-billion for 2017. “There is already a severe funding crisis, which is impacting on capacity, quality, throughput, staff ratios, infrastructure maintenance, research and on basic provision and transformation,” the report says. Ironically, TVET students did not join in the #FeesMustFall protests but they were the most negatively affected, and the colleges suffered budget cuts as a result. “This affected the administration of colleges but also the students directly as bursary allocations were reduced,” says the report. In 2016, the TVET sector was underfunded by almost R4.7-billion and TVET colleges were not exempt from a no-fee increase that year, as were universities. They were also excluded from the R2.6-billion bailout for student debt relief in the same year. “The system is currently skewed towards university education and will not self-correct. A massive focus on TVET colleges is required to develop the system, change perceptions and culture and make TVET colleges attractive institutions of choice,” the Heher report says. It appears that relatively few TVET graduates get jobs. An M&G request on Twitter to establish how many TVET graduates from the past three years had found stable employment drew 313 responses, of which 80% were unemployed. The fact that graduates apparently find it difficult to find work is surprising given that the department of home affairs lists a range of “critical” skills, including pipe fitters, riggers and boilermakers. The Heher report says the TVET system needs to be developed so that technical colleges can “become institutions of first choice rather than holding the position of second-class citizens, as is [currently] the case”. The report says the sector is the victim of a bad reputation, mainly because it has not produced the desired outcomes for industry and students alike. The programmes are “outdated and not in line with the needs of industry” and have resulted in low employment prospects for graduates. TVET colleges may have a poor reputation but enrolments are up, more than doubling in the 50 TVET colleges from 2010, when there were 345 000 students, to 2015, when there were 709 535. The department of higher education and training is meant to cover 80% of the tuition costs of those enrolled in ministerial-approved programmes, with students responsible for the remaining 20%, although there are NSFAS bursaries for poor students who cannot afford this. But, in 2015, of the 664 748 students enrolled, the department could only fund 429 638 of them, or 64% of the total. The department acknowledges that the colleges are underfunded but this is because of overenrolment. “In 2013-2014, they were funded at 81% but, since then, this has declined to 68% in 2014-2015; 60% in 2015-2016; and 56% in 2016-2017. This underfunding is heading towards a major crisis,’’ the department says. The Heher commission recommended a cost-sharing system to fund all university students, rich and poor. 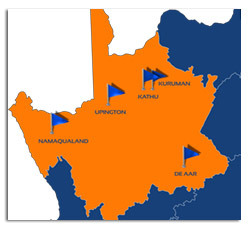 It would be an income-contingent loan (ICL) and would replace the National Student Financial Aid Scheme (NSFAS). But all application and registration fees would be scrapped. Under this voluntary scheme, students would get state-guaranteed loans from commercial banks to fund their studies, which they would have to pay back when they started working. The precise details of the scheme should be determined by the parties, public and private, in consultation with the universities and student representatives. The commission proposes that loan repayments would only begin when a graduate reached a minimum income threshold. Legislative amendments would be made to empower the South African Revenue Service to collect the repayments through income tax, although it does say “the setting of income levels, loan interests and other terms must be designed to place the lightest possible burden on the debtor”. The report recommends that the government subsidise universities at 1% of gross domestic product, excluding the costs of setting up the ICL model. Current university funding falls short of this at 0.74%. The report says the model takes students’ individual needs into account. Whether the ICL loans would cover the full cost of study or only parts of it would depend on what each student applied for. ICL beneficiaries would not be able to emigrate if they had unpaid debt.